Home/Corporate News, News, Newsletters/Meet & Greet with Mark Stevens in Tokyo! 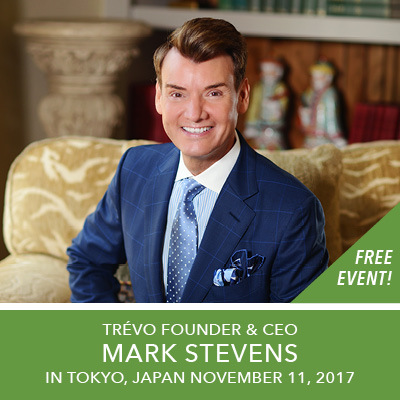 TRÉVO Founder & CEO, Mr. Mark Stevens coming to Tokyo! Join us for this FREE EVENT! We would love to meet you and talk about empowering the lives of our Tokyo family! Be ready for the message from Mr. Mark Stevens. We will see you in Tokyo.